SUKHUMI (Ria Novosti)–Abkhaz President Sergei Bagapsh confirmed Tuesday that two Russian military bases are to be stationed in the republic, recognized as an independent state by Moscow on August 26. He said the bases would be located in the towns of Gudauta and Ochamchira, in the west and east of the republic, respectively. Bagapsh said a military airport would be reopened in Gudauta. "New housing and an appropriate infrastructure will also be built for the families of Russian servicemen," he told a press conference. 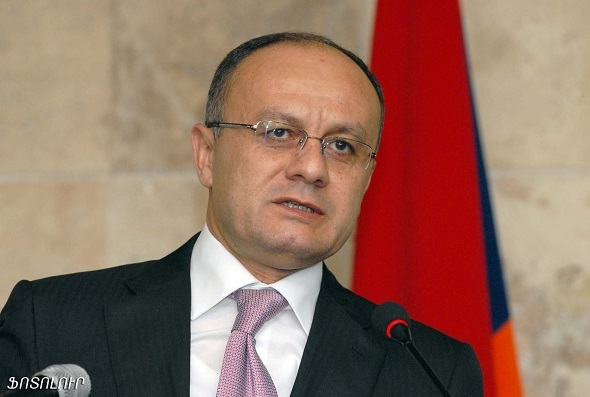 The Abkhaz leader also said a seaport would also be restored in Ochamchira. "Taking into account that, after everything, Georgia will still in the near future join NATO, Abkhazia should do everything necessary to strengthen state security," Bagapsh said. Russia recognized Abkhazia and South Ossetia, another breakaway Georgian region, as independent states last month after a brief armed conflict with Georgia. The five-day war began when Georgia attacked South Ossetia on August 8. Russia’signed friendship and cooperation treaties with South Ossetia and Abkhazia on September 17, promising them military and economic support. South Ossetia and Abkhazia have so far only been recognized by Russia and Nicaragua. Belarus has pledged to follow suit in the near future, and Venezuela has voiced support for Russia’s recognition of the two republics. The two republics broke away from Georgia following the collapse of the Soviet Union in the early 1990s amid wars that claimed thousands of lives. But Russia’s Foreign Minister, Sergei Lavrov, last week stressed that his country’s recognition of Abkhazia and South Ossetia as independent states does not set a precedent for other post-Soviet regions seeking recognition. The statemen’s, made by Russian Foreign Minister Sergei Lavrov were directed toward the Nagorno-Karabakh Republic, which declared its independence from Azerbaijan as the Soviet Empire crumbled.